Readers' Photo Fan Page - 7 Days: Manifesting the Life You Want Freda M. Chaney, D.D. 7 DAYS: Manifesting the Life You Want by Freda M. Chaney, D.D. Freda's photo designed by Dorlon Peckham of Las Vegas! 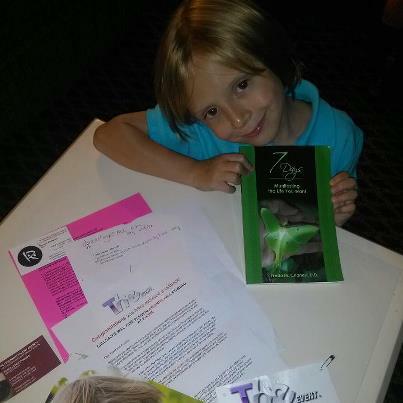 (Below) Daniel Paradise Thomas (Sweden) with two of his favorite books! (Below) "7 Days" Fans at a Central Ohio Barnes and Noble Bookstore! (Below) David Lehi Ayala (U.S.) sharing his copy of "7 Days." (Below) "7 Days" now on the shelf at Kenyon College Bookstore! (Below) Dorlon Peckham (Las Vegas) displays his hardbound version of "7 Days"
Vicki Lowery displays 7 DAYS at The Library of Congress in Washington, D.C.
(Below) 7 DAYS at Mount Vernon Inn on George Washington's estate, VA.
(Below) Even the peacock wants to hear the the story about the peacock in 7 DAYS! Taken at the National Zoo, Washington, D.C.
A young admirer of 7 DAYS, Carter Lowery, took his copy of 7 DAYS along to Florida for his stage debut in front of directors and agents for film and advertising! 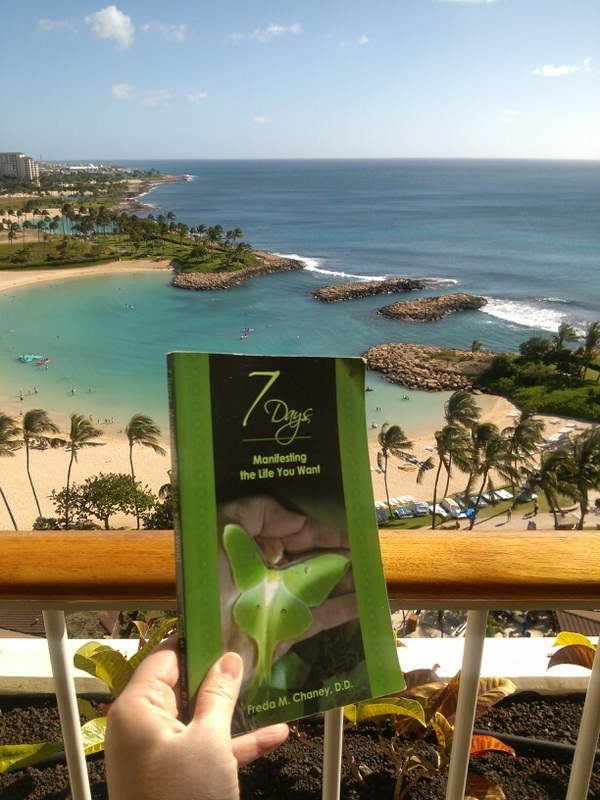 7 DAYS went along with a happy tourist who manifested her trip to Hawaii recently! ALL WEBSITE CONTENT IS COPYRIGHTED! PERMISSION REQUIRED!